Doesn’t this just give you all kinds of anxiety? 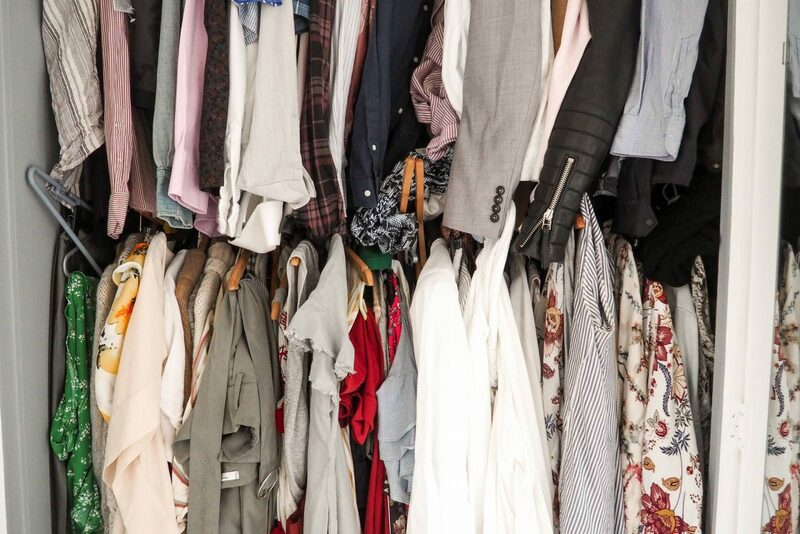 Things falling off hangers, not enough space, things you don’t even wear anymore and items that you forgot you had because you can’t even see them in amongst that squashed mess. One big UGH every time I opened my wardrobe doors. When it gets to this point there is only one way I deal with it… get everything out and start sifting through piece by piece what I love and what has to go. On this occasion though I had my lovely friend Sarah Styles who offered her expertise to help sort this chaotic wardrobe situation out. She actually prefers to be left to get on with the job in question so whilst she got on with that I cracked on with some other work. After about an hour I waltzed back in the room to see how things were shaping up and I think almost everything was out of the wardrobe and in separate stacks. She’d created piles of ‘to gos’ and ‘maybes’ and the rest she hung nicely back in the wardrobe in a lovely colour co-ordinated manner that matched similar styles next to each other. It was so refreshing to see. 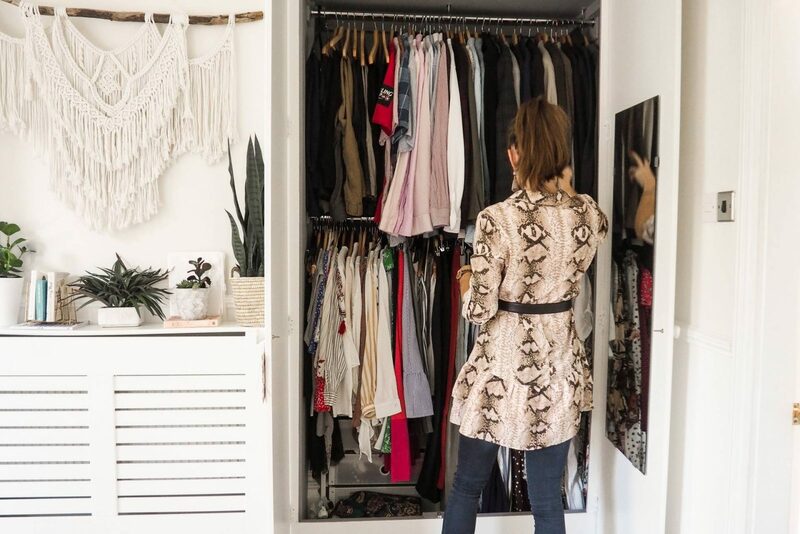 It felt a lot more organised, decluttered and managed in a way that I could easily piece outfits together. It was then up to me to see what I wanted to keep and give away. I did pull out a few things from the ‘to go’ pile as I know I still wear them but on the other hand I decided to part ways with a few in the wardrobe that I knew deep down didn’t fit right. We got most of the job done in about four hours but I know that Sarah often visits other people’s houses and can be done and dusted in one or two hours, she’s like a machine! Since these photos have been taken, I have now taken out all the summer clothes and packed them away ready for next year so my wardrobe looks even better and what’s more exciting is I have more space for new Autumn / Winter goodness – yay! You can read more about what Sarah offers here and also have a look at the gorgeous clothes she sells too. Sarah is based in the Lancashire region but is open to travelling further afield as long as travel is covered too :). Sarah kindly helped me as a friend on this occasion without any obligation on my part but I felt I wanted to write about my experience with her to help as she starts her new business venture and I really do wish her every success with it! I have read lots of different books now on tips to declutter and I’ve also received lots of wonderful advice from friends on Instagram who have shared their tactics. If you love it, find a home for it and keep it… otherwise get rid. Everything should have a home which makes tidying up a lot easier. Only keep things that bring you joy and you really LOVE! Try not to keep things that are too big or too small thinking, ‘I’ll keep that in case I put on weight’ or ‘I’ll keep that when I lose weight’. I’ve even learnt that some of the things I felt really comfortable in years ago simply won’t ever feel comfortable on me again and it’s time to let go. If something still has a label on from a while ago and you still haven’t worn it, just get rid. I have done this numerous times but even though I feel like I’ve wasted money, by gifting it to a friend or family member it helps me think that it was still money well spent because someone else is getting enjoyment out of it. If something is expensive and you can’t bring yourself to get rid of it, maybe create a box to put these items in. Give yourself a month max to sell it on Ebay or somewhere and if after that time you still haven’t done it, honestly just give it away to charity or something. I promise you you’ll feel so much better. 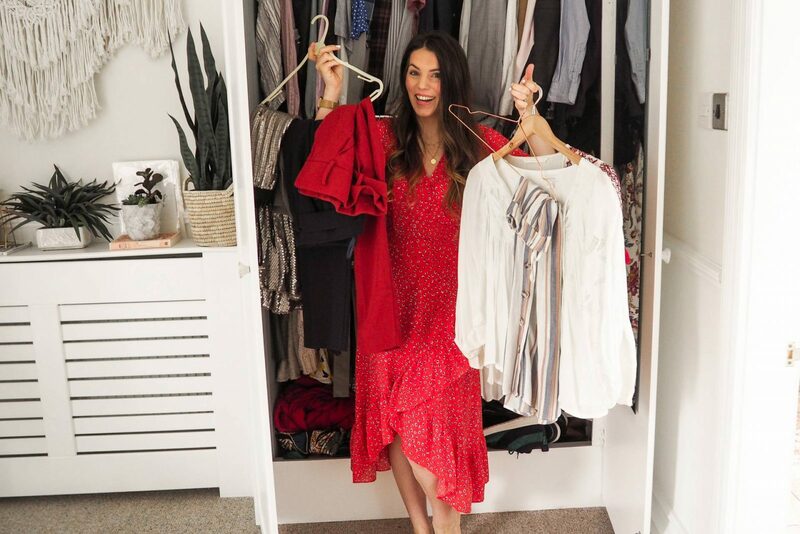 Buy things to help you organise; for example, something I want to do is to buy all the same thin velvet hangers so they take up less space in the wardrobe and clothes don’t fall off them. I’m sure there are more fabulous tips that have slipped my mind or don’t know about so please share in the comments below to help us all out :). One thing that has stuck with me after reading them is the Scandinavian way of living known as ‘Hygge’ which is all about home entertaining. Friends go to each other’s houses and have cosy nights in which is why they take great pride in their homes being an enjoyable space to be in. 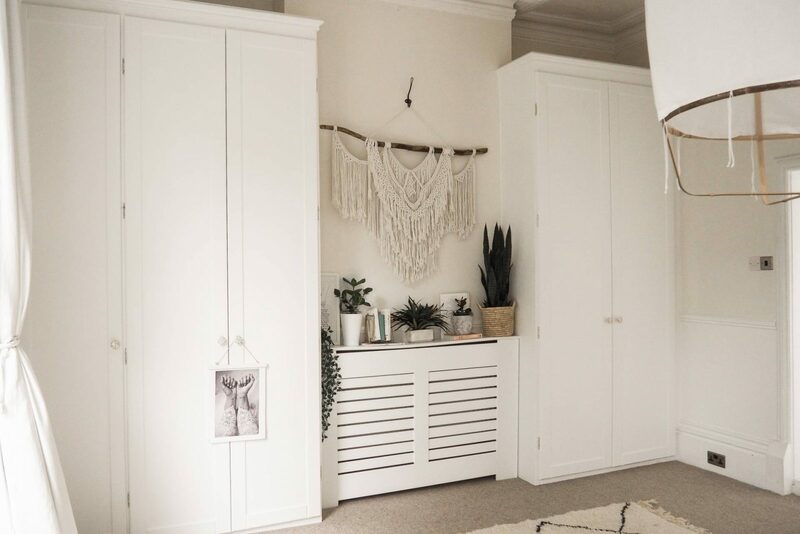 With the concept of every item in your house having a home, it helps keep your space tidy and clutter free and the big thing for me is if people turned up at my door unannounced, it wouldn’t bother me as I’d feel happy that my home is always more or less ‘tidy’. However, this is not the case for me at the moment, I’ve made a start with my wardrobe but I now need to declutter my whole house to get to this point… I think I would die if someone came over unannounced as the kids just have that knack of leaving a trail of destruction from room to room. At least I’ve taken the first step now and I’m determined to strip back my house and keep only the things that I truly love and giveaway the rest. Thanks so much for reading and I hope helps you create a more clutter free life!